Waves. They form somewhere far off, build momentum, then rush in and break in a wall of mist. Soon afterwards, they’re gone, leaving only evanescent scatterings of foam. When the hallyu Korean pop-culture wave first crashed onto the shores of neighbouring Asian countries at the turn of the millennium, many observers saw it as just that – a rapidly rising and then receding event much like previous hip trends (such as Cantopop and manga) that had splashed onto the international pop scene. This one came in the form of irrepressibly danceable, karaoke-able tunes sung by impossibly beautiful people with either perfectly pouting lips and sleek figures or the most rock-solid packs of abs this side of Bruce Lee. K-pop softened hip-hop’s rough gangsta edginess and made it accessible to a more demure continent. Meanwhile, a number of K-drama series and films caused Japanese women to swoon over Korean men and Chinese kids to dress in hanbok. Korean food whetted everyone’s appetite. Korean online video games spread chronic insomnia to students whose wee hours should have been spent asleep or buried in books rather than in fantasy warrior guilds. However, even after almost two decades, hallyu has yet to slide back into the abyss of spent hipster fads. In fact, it is a stronger force today than ever before, now established as the go-to source of entertainment across much of Asia and spreading its influence ever wider through the Middle East and the West. It ranks with Samsung, LG and Hyundai among Korea’s most important and recognisable brands. Psy is known universally, while only the most international can tell us very much about any other South Korean figure. Ban Ki-who? Because writing (and literature) is the foundry for so many of the performing arts, the enduring popularity of hallyu can beg a question: what about Korea’s contemporary literature – K-lit, so to speak? Why is it not better known internationally? What does it look like? How does it compare to or contrast with the wop-dancing, binge-watching appeal of its K-pop cousins? This special issue of the Asia Literary Review (produced with the generous support of the Literature Translation Institute of Korea) spotlights contemporary Korean literature written by or about younger Koreans – more specifically, the under-forty set who drive the country’s youth culture and represent its future. The writing itself about this generation is vibrant and original, as one would expect from creative and well-educated minds. However, the stories are also disquieting reflections on a contradictory society which at once offers and demands so much to and from the young. As such, contemporary Korean writing stands in sharp contrast to the slickly-synched choreography and surgically-sculpted looks that are de rigueur for hallyu singers or TV stars. The stories and themes in this issue plunge deep below the glossy surface of the pop brand to explore the lurking undercurrents of modern Korean life. We begin with a piece set in 1973, when Korea was far from being the first-world nation it has become. In My Uncle Bruce Lee, a group of Korean teenage boys scramble after their own identities cloaked in the reflected glory of the eponymous Asian God. We conclude with Wonderboy, the story of a newly orphaned boy who is propped up as a figurehead (Korean, this time) for a hero-hungry society. ‘You are now the mascot of hope for this country’, the reluctant boy is told. Between these two pieces are works that explore the fragile teen years, the difficulties in scratching out a living as an independent adult and, finally, the various manifestations of disillusionment. Two teenage parents search for meaning while bringing up a son stricken with a disease that ages him prematurely. A young woman would rather speed around the motorways of Seoul than address her failure to connect with other people. A typical salaryman desperately digs his way through a snowdrift to get to his office. A mother turns to whoring in a chicken-stew restaurant to support her family. Members of a serial-killer website experience real-world horror when they gather in a secluded lodge owned by ‘the Devil’. Two children’s lives are up in the air (literally) when they find themselves the last humans on Earth. The poets we’ve included offer new ways of seeing red and examine the peculiar miracle of the theremin’s music. Those who no longer played in the water were called adults. Adults were the people who worked in the city. They were the people who didn’t watch the sky. They were the people who no longer thought of clouds and stars, and seagulls and the ocean. It was very depressing to think that someday I, too, would be an adult. The issue also includes an essay written by the UK’s Deborah Smith, a leading scholar and translator of Korean writing, which succinctly frames contemporary Korean literature in the context of recent Korean history. Whether or not K-lit will achieve success internationally on a similar scale to Korean pop offerings is unknowable. More fundamentally, such runaway success, though welcoming, is not the defining aim of literary achievement. Writing is not a collaborative affair involving formulaic content, mass production and green-lighting corporate committees. Instead, it involves individual minds toiling in solitude to enlighten themselves and others. And good writing – in any country – reveals universal truths rather than reinforces mass illusions. In this way, the contributors to this volume have been true to their calling. They and their peers provide evidence that hallyu is only the shiny surface of a much deeper creative force. And thus, we find ourselves at the widening shore of a profound ocean. Yes, the splashy waves provide a good frolic. But the waters are much more than merely a playground of spray and foam that washes up and back. 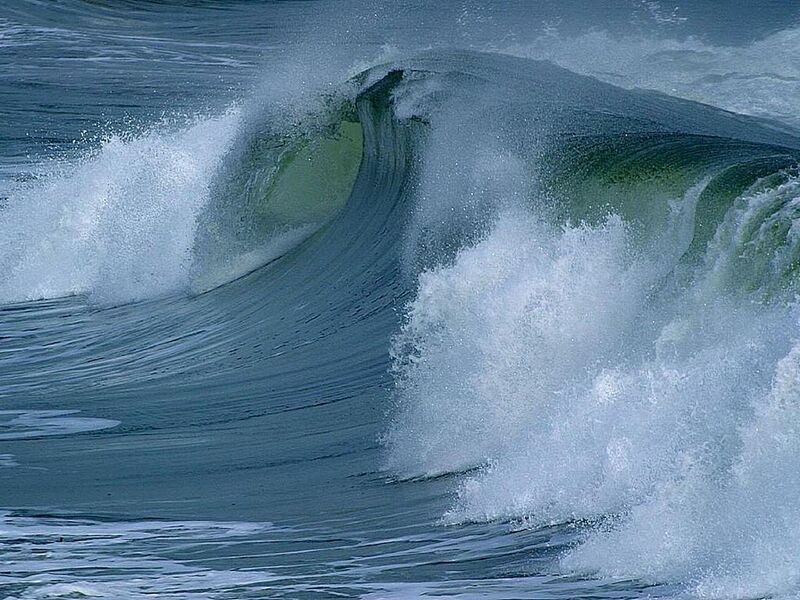 This sea produces swells both light and dark. It contains souls that struggle ceaselessly against death. It churns with real life. To read the rest of Issue 30, visit our eShop to take out a subscription or buy a print or digital copy.